When news broke that veteran broadcaster Dorraine Samuels had passed away on March 26, Jamaica held its breath. A woman who had become part of their lives had been snatched by death. For many years, her smooth, unforgettable voice filled the living rooms of households across Jamaica, even so that many felt like they knew her personally. 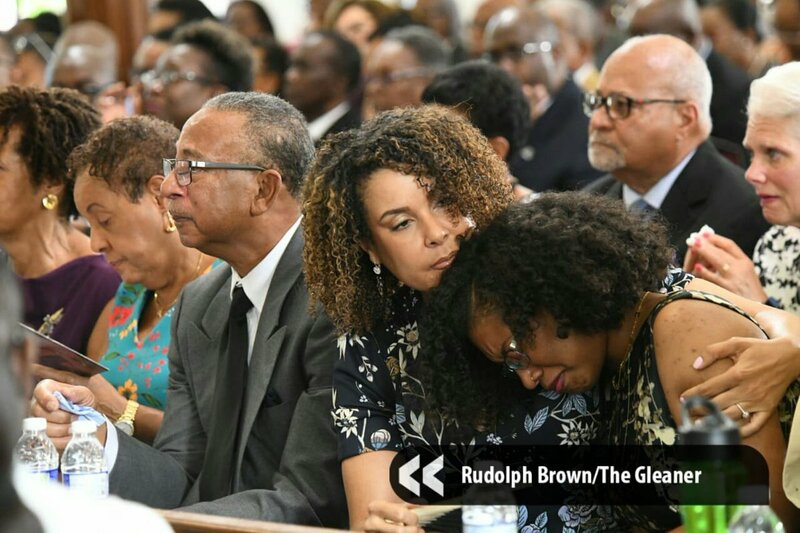 Her thanksgiving service was held Monday morning at the University Chapel at the University of the West Indies, Mona. 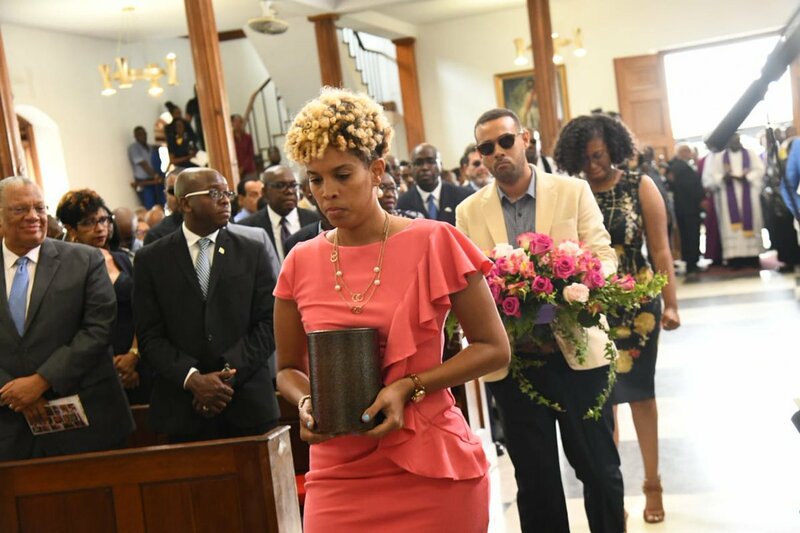 Dorraine Samuels' children Melissa, Morgan and Russell bring the urn bearing the remains of their mother. A mother of three, Samuels-Binger had become a household name in Jamaica, delivering the news on RJR 94FM and Television Jamaica. Her older sister, Carol, recalled that as a baby, Dorraine's cries could wake up the neighbourhood. She said people would jokingly comment that she need to put that voice to use when she grew up, which she did. The doyenne of broadcasting, she served the industry for 38 years. Apart from her admirable work ethic, and unmatched professionalism, Dorraine, could bake a rum cake that could rival all other rum cakes. “Anybody who get that rum cake would want to stay in her good graces to ensure they’d get one again,” said Carol. She was affectionately called 'D' by her relatives. She loved to shop and was the chief event planner for her family. “Whether it was a wedding, a graduation, or a birthday party, we dont worry as long as D is in charge,” Carol said. Dorraine's children, Melissa, Russell and Morgan, delivered a tribute to their mother. Melissa, who read the tributes on behalf of herself and her younger siblings, said her mother was the light of her life and not only taught not to be an excellent mother but also taught her thrifty spending. “My mother was an amazing person, one who always led by example. As a mother, she loved us fiercely and was consistent in that love. I will miss sitting down at the kitchen table with her and making her laugh with my dry jokes," Russell wrote in his tribute. "The man that I am today is a true testament of what I learned from her." Morgan said the love for her mother transcends death. "The thought of you gone is still unbelievable and will always be. You loved me for me, and I never failed to tell you how much I love you, too. I may not have you around to talk after a stressful day, but I will always have you in my heart," she wrote.